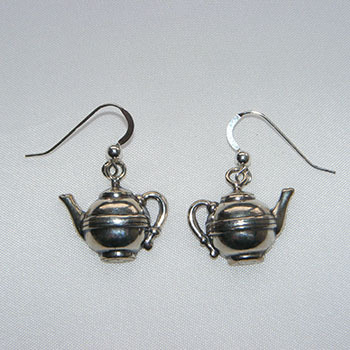 You will have so much fun wearing our Tiny Teapot earrings. 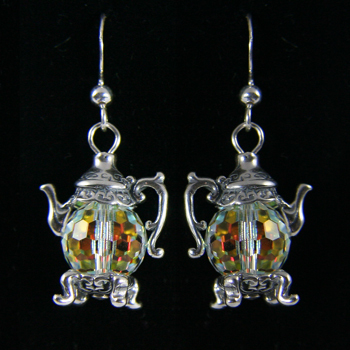 Expect plenty of compliments! 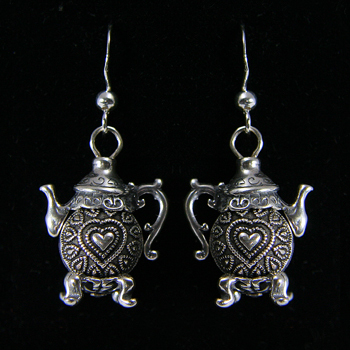 Wear our adorable Tiny Teapot earrings to set the tone for whimsy at tea time or any time! 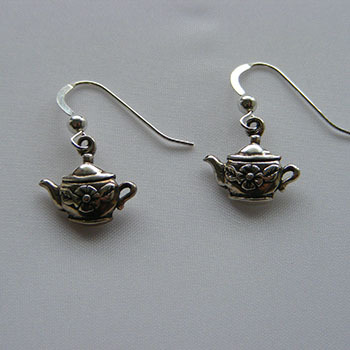 You may order these earrings to match our Tiny Teapot pendants, charms, or pins or to wear alone. 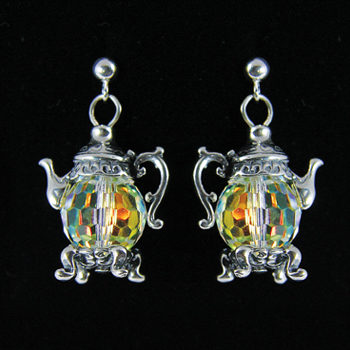 Please note that we have selected a few of our best selling teapots to feature on the web site. If you don’t see something to want amongst these featured ones, please call and let us know which ones you’d like us to customize just for you. 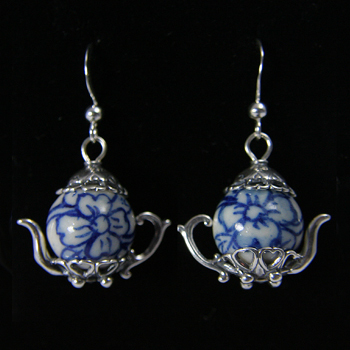 Please note that with the exception of the 12mm blue and white earrings, all of our Tiny Teapot earrings are made with the smallest 10mm Tiny Teapots. 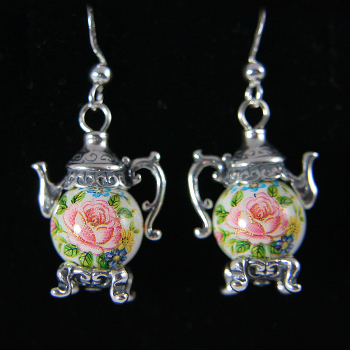 If you want to custom order, we suggest that you consider selecting 10mm Tiny Teapots for your earrings. 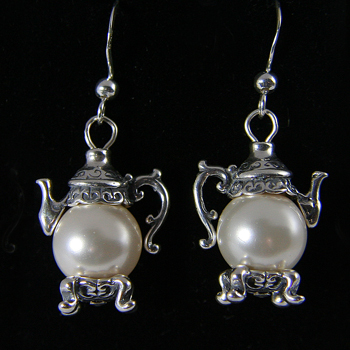 Please note that our dangle and post earrings are made of 925 sterling silver.